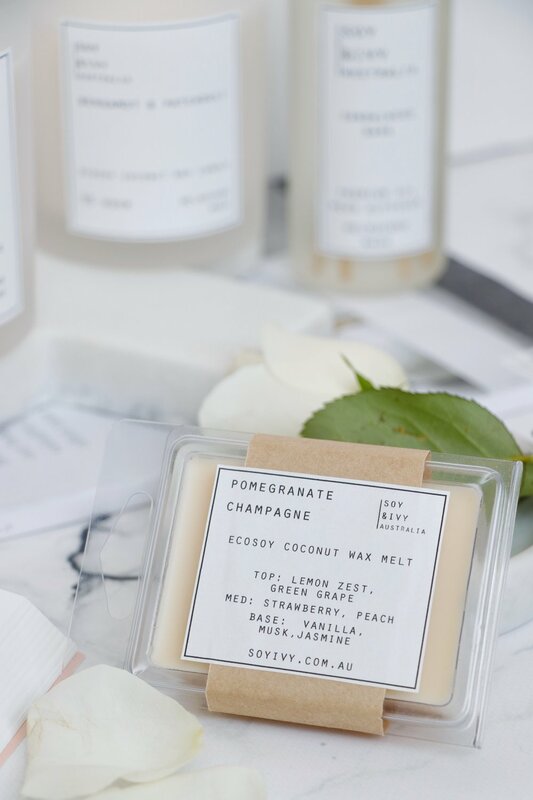 At Soy & Ivy we use two of the best waxes available, ecosoy wax and coconut wax. The coconut wax we use is 100% natural cold-pressed organic coconut meat. Coconuts are considered a renewable sustainable crop due to the high yield and crop renewal per acre. 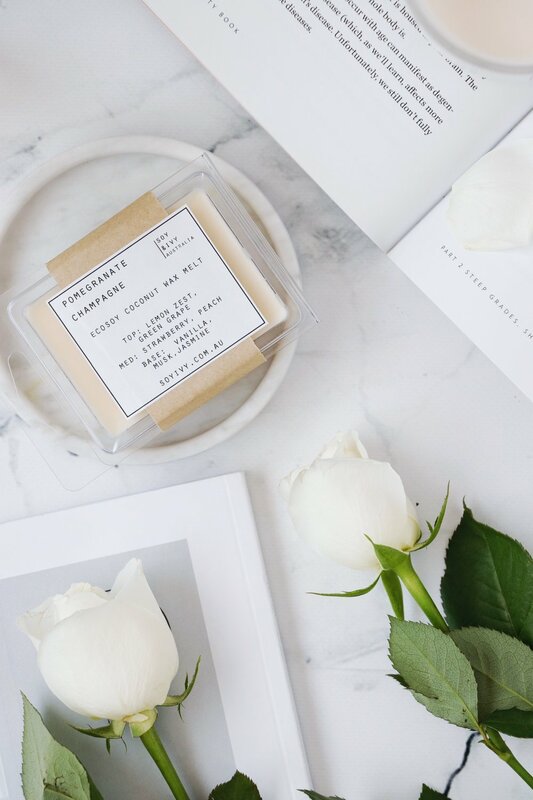 The ecosoy wax and coconut wax in your candle is sustainable, ecofriendly, with no genetically modified soybeans or coconuts and has no pesticides. It’s nontoxic and burns clean. 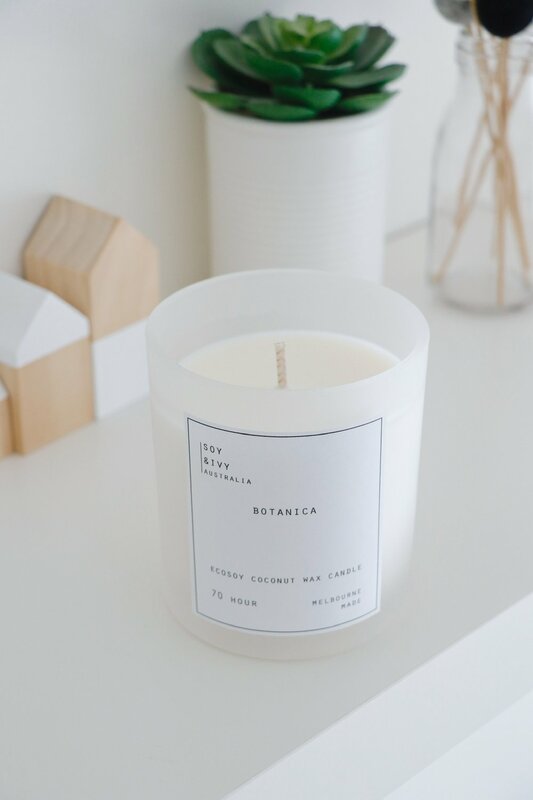 It also burns slower and longer, allowing you to enjoy your candle that little bit longer. 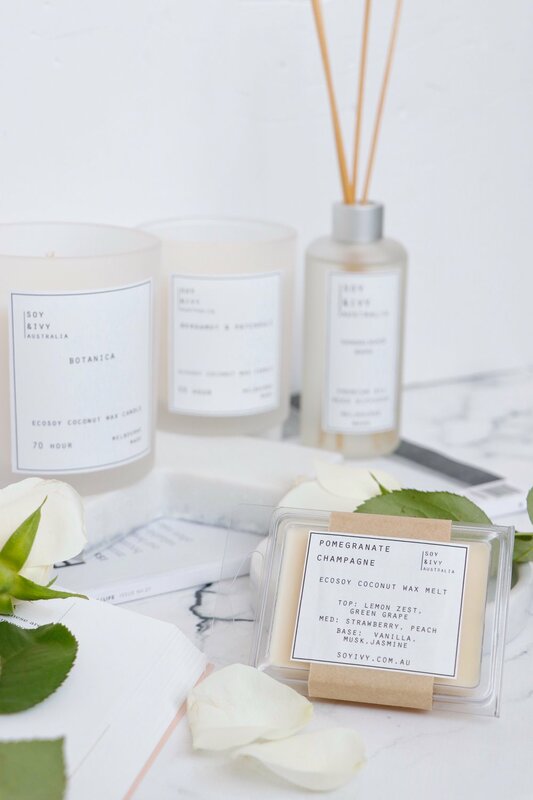 our handmade ecosoy coconut wax candles are available in two sizes 55HR and 70HR, with ten fragrances to choose from. 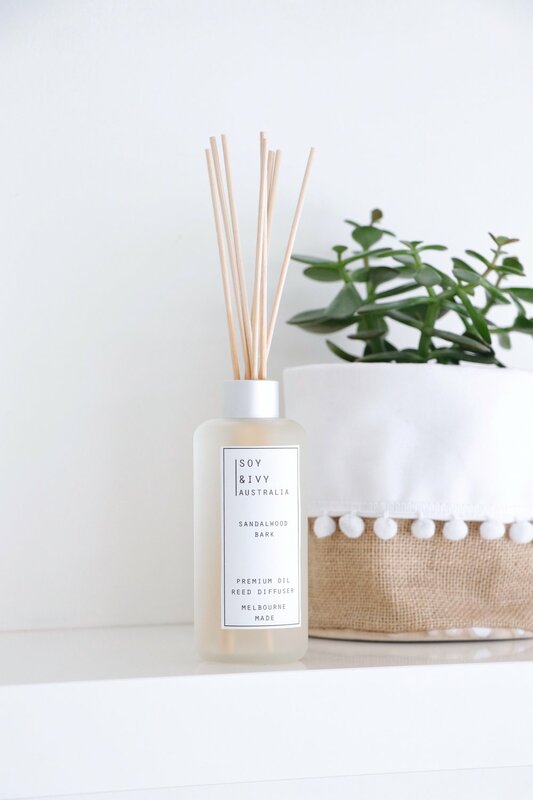 our diffusers are handmade using Australian made fragrance oils, which meet national and international standards for safety.